i first have to mention that my husband makes a mighty fine vanilla latte. and i just realized that every time i take a picture of something in my hand, it is always my left. i am not left-handed, but i have to use my right to take the picture! anyway, nothing extraordinary going on around here today, just some much needed cleaning and mopping. oh, and i am going to enjoy my new one of these today. i have been using one made by fiskars for ten years and it kinda bit the dust. and it just so happened that hancock's was having a half-off sale on them yesterday. however, none of my local hancock's had any in stock, so the last one i went to gave me this much nicer olfa one at the same sale price. so i got it for $20 and saved $30. pretty sweet deal, huh? it is so pretty and new and uncut and unmarred. and my old friend? she will be on her way to a new home via freecycle. ever heard of it? i love it. people post free stuff and all you have to do is pick it up. isn't that great? we got a new screen door for the back porch that way and it just happened to be at a house one block over. hope you all have a wonderful saturday! I love your freecycle story! I love looking at what they have offered. Enjoy your weekend. Mmmm yummy, that is my favourite - vanille latte!! My brother got a king size bed on freecycle so he was pretty happy! Yes! I have freecycled so much stuff with our house renovation: ceiling fans, a car trailer, chairs, a play kitchen... In fact today I'll be posting a bunch of new stuff including a fireplace. It's so great that it all doesn't end up in a dumpster. 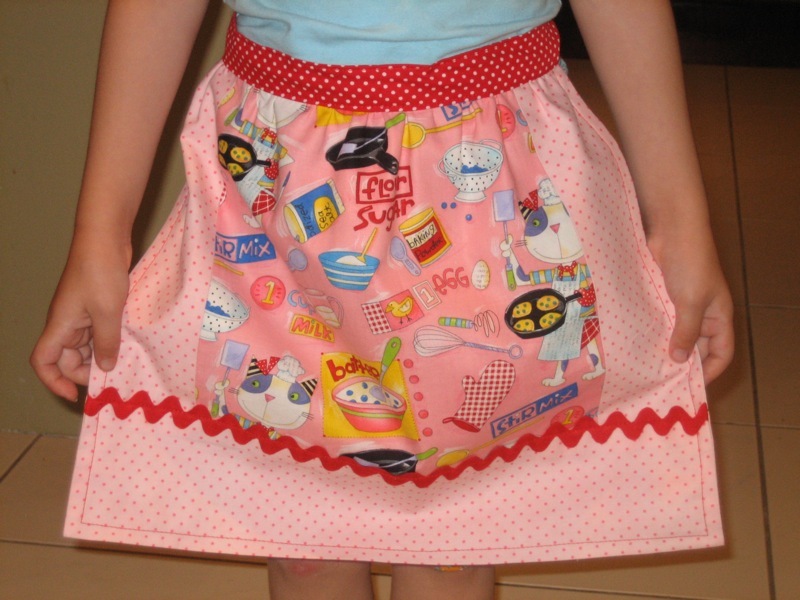 great picture--is that a skirt with polka dots or an apron? i have a friend who is addicted to craigslist for the free stuff on there--she has it on her google reader. crazy! i tried that but ended up overwhelmed with the listings. oh the things i would do if i had more time. hope to see you soon! yay!